Tie will make a gentleman look more professional, even if your daily job doesn’t require you to wear one. Camera amplifies imperfections, so even if your knot looks good to your eye, it may seem off in the picture. We strive to help you to make sure all details are in place. Before the photo session take your time to check how you look, check your hair, teeth, adjust or retie your tie. 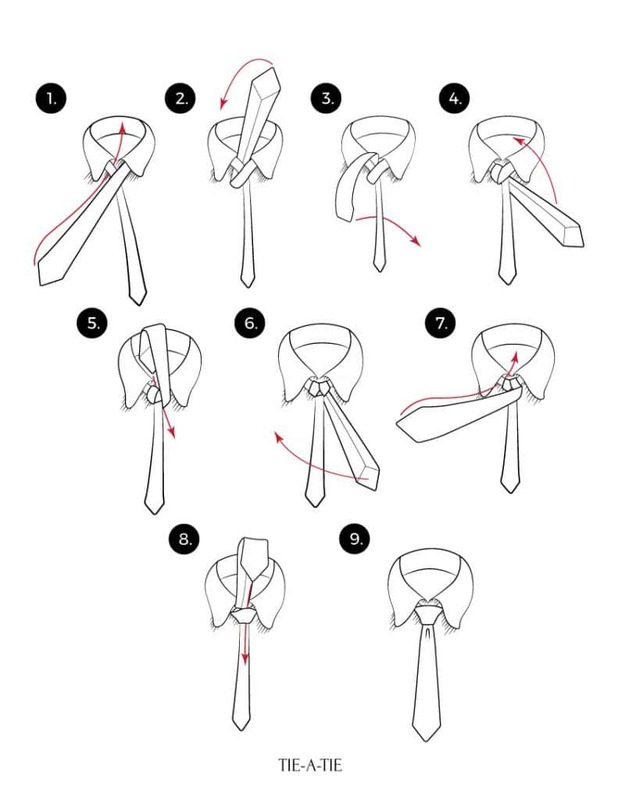 There are hundreds of ways to tie your tie. Here are two of the most popular knots. Wrap the tie around your collar so that the wide end is on the right, and the small end is on the left. The small end should be resting a little bit above your belly button. You’ll be leaving this end alone, and only working with the wide. Place the wide end over the small end. Loop it underneath the small end. This should be in the gap between the collar and the tie. Bring the wide end down in front. With the skinny end still hanging straight down, pull the wide end underneath it to the right across your torso. You should be seeing the back side of the wide end. Pull the wide end through the top of the loop between your collar and tie. Tighten the wrapping by bringing your wide end down and pulling it down. Then take the wide end and wrap it over the skinny end to the left so that the front is visible. Pull the wide end through the loop again. Bring the wide end down through the knot in font. Named after a XIXth century gentleman’s club, this knot is extremely easy to tie. It looks very good, and it is very well balanced. This is the most popular style, so you probably won’t be standing out, but at the same time, the Four in Hand is reliable for every situation. It’s slightly asymmetrical by nature. 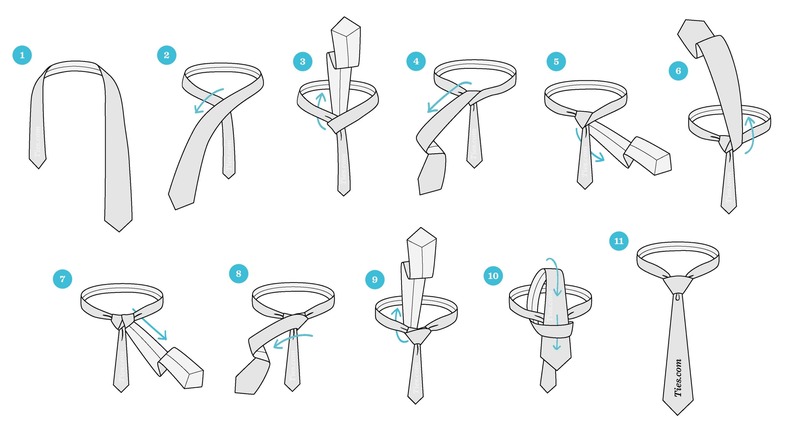 Start out the same way we started the Windsor, and drape the tie around your neck with the wide end to the right, and the skinny end on the left. Cross the wide end over the skinny end to the left. Go under the skinny end back to the right. Cross back over the top of skinny end to the right again. That should have made a nice loop in the front of the tie, so bring the wide end through that. 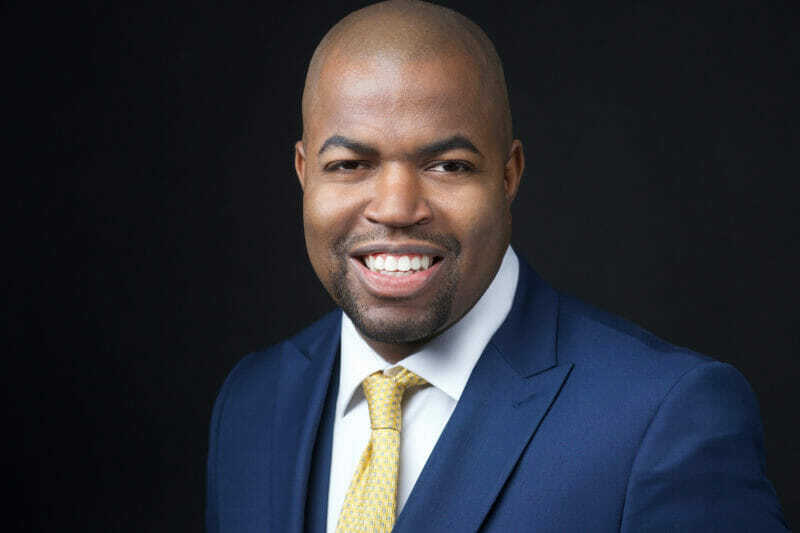 Now that you’ve mastered your tie – head to our booking page to choose the best option for your business headshots session. Sources: Ties.com, tie-a-tie.net , AnchorTies and Spiffster.